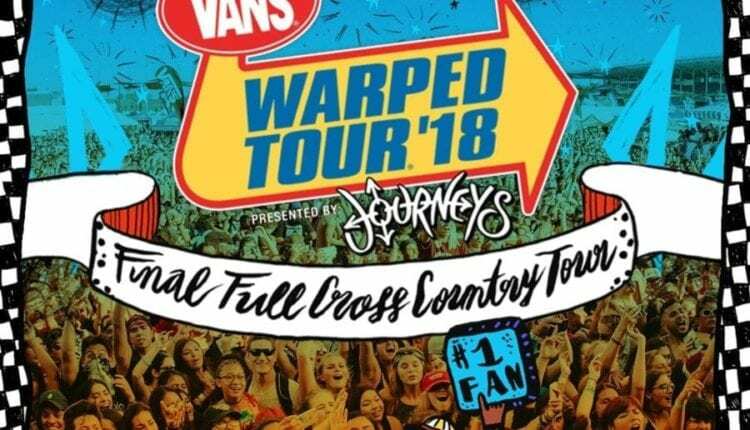 On November 15, 2017, founder Kevin Lyman shared that after 23 amazing summers of music, Vans Warped Tour would celebrate its final run in the summer of 2018. Making up for the upsetting news was the release of this summer’s diverse lineup, featuring bands from the electronic duo 3OH!3 to folk singer-songwriter Frank Turner, the charismatic members of popular Canadian rock band Simple Plan, to the abrasive metalcore of August Burns Red, with so much more sprinkled in. While Vans holds the top seat as the festival’s primary sponsor (hence the festival’s name change), several other sponsors will be hosting multiple stages on the tour, including Journey’s (who will host a ‘Right Foot’ and ‘Left Foot’ stage), Monster (with a cleverly named ‘Mutant Red Dawn’ and ‘Mutant White Lightning’ stage, named after the ultra-caffeinated energy drinks), owly.fm and Full Sail University (to stage some up-and-coming bands). The tour is already underway, making stops in Camden, NJ this Friday, followed by Holmdel, NJ on Saturday, then Hartford, Connecticut this Sunday. The tour will also make a stop at the Darien Center in New York on July 25, and Jones Beach Ampitheatre on July 28. 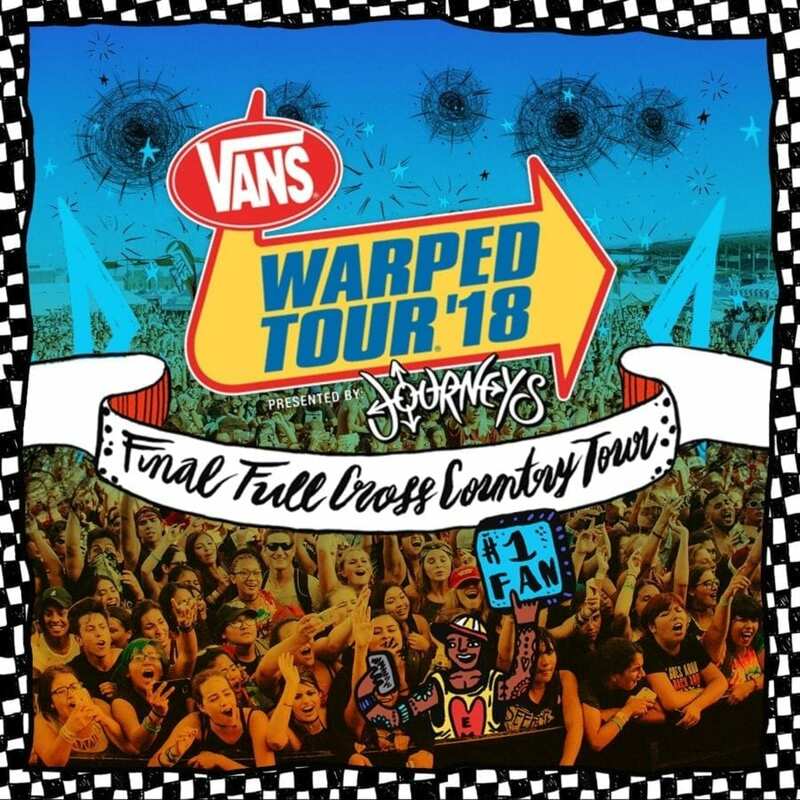 In celebration of it’s 23-year legacy, here are two reasons why Vans Warped Tour stands out as one of the most impressive touring festivals of its era. 1 – From start to stardom, Vans Warped Tour has introduced us to some of our favorite bands. Since its first run in 1995, many bands have Warped Tour to thank for their rise to popularity. Avenged Sevenfold, Fall Out Boy, and Paramore are a few of the many bands that played the Warped Tour stage early in their careers, and continued to play each year in the early 2000s as their repertoire expanded. A prime example of the festival’s impact is Baltimore-based band All Time Low, who played a small stage at Warped back in 2007. Shortly after, the band released their second studio album So Wrong, It’s Right, which caught a wave of fans and charted number 6 on the Independent Albums chart in the US. The band went on to headline the festival in the following years, even topping the lineup list for this year’s fest. The festival always had punk rock at heart, but shed some light on other genres, hosting Limp Bizkit in 1997, the Black Eyed Peas in 1999, and Katy Perry in 2008. 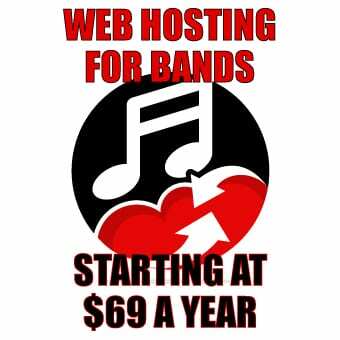 The festival organizers adapted to the evolving popular music scene while remaining true to their roots, and the massive following that ensued placed Warped Tour as the largest traveling music festival in the United States. 2 – There’s nothing quite like the Warped Tour experience. Walking around the grounds of the fest is a treat alone. The outcasts of the everyday find sanctuary in a crowd of like-minded cohorts at Warped Tour. Goths, skaters, and punks alike flock to the stages to dance, mosh, or whatever feels right for them. This space is theirs and free of judgement, which fosters a unique and enticing crowd experience for a first-timer. The festival takes great pride in activism, drawing attention to important causes as well, from suicide prevention to breast cancer awareness. Patrons who donate to these causes can get special interactions with artists and receive signed gear, only to further awareness among the festival. You can even get express entry to this year’s fest by donating three cans of food or $5 to Feed Our Children NOW. Music education also plays a key role in the festival, with free lessons often offered to concert-goers. In past years, the John Lennon Bus has also set up shop at the fest, which holds a mini studio for younger attendees to interact with music in a reclusive setting. When attendees need a break from the scores of performances scheduled for the day, there are so many experiences to take in, and you’ll never know what (or even who!) you might find around the festival grounds. A bittersweet heaviness will follow each attendee at the festival’s last return this summer, but the nostalgic lineup and all-encompassing experience will be sure to bring great enthusiasm in honor of a successful 23-year run. Be sure to get your tickets for this weekend’s festivities and the tour’s future stops on the Vans Warped Tour site. The remaining dates can be found there as well in case you’re beyond the tri-state area. 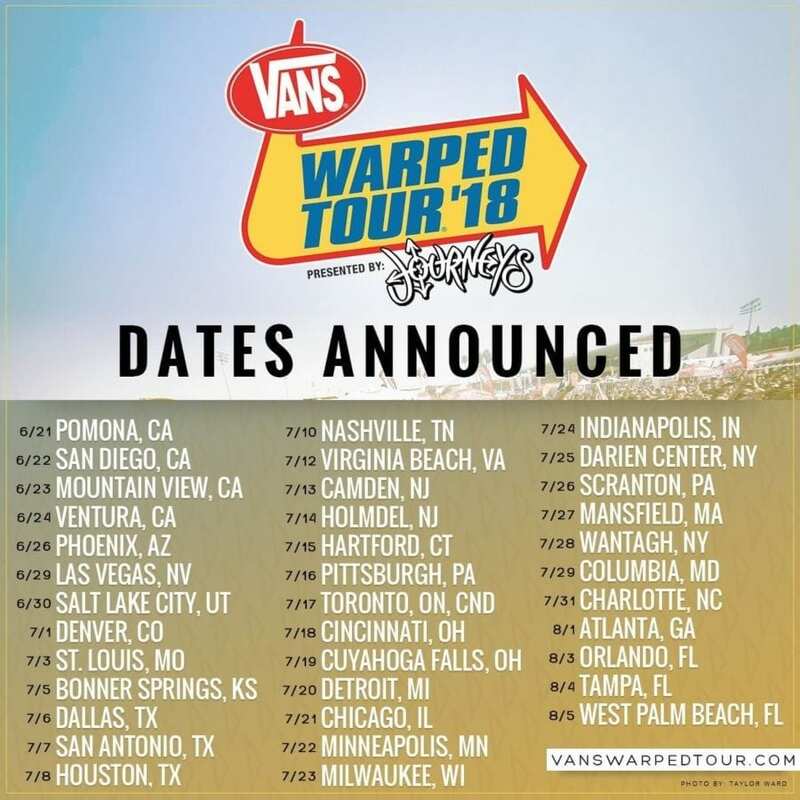 For the full artist lineup and more info, head to the Vans Warped Tour artist page and info page, and be sure to follow the latest happenings on Facebook. We’ll see you on tour!